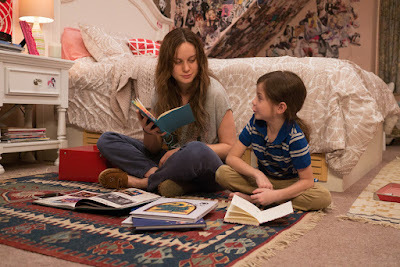 This year’s strong contender and frontrunner in the 88th Oscars, “Room” being nominated for Best Picture, Best Director, Best Adapted Screenplay and Best Actress takes the audience on a visceral experience as we are introduced to the cramped world of the five-year-old Jack (Jacob Tremblay) and his Ma named Joy (Brie Larson), where he was born and grew up. But at night, his Ma shuts him safely in the wardrobe, where he is meant to be asleep when Old Nick (Sean Bridgers) comes. 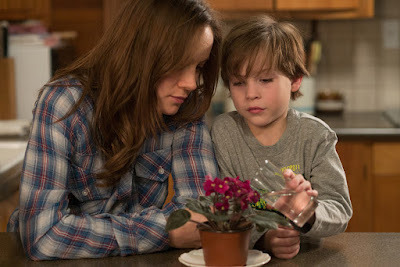 In “Room,” Jack’s Ma had been abducted by Old Nick and had been imprisoned at the backyard in his shed for seven years, where she had Jack after Old Nick repeatedly abused her. When Jack turned five, Joy hatches an escape plan so Jack can live a normal life. Her selfless act would also prove of their unbreakable bond as mother and son as she prepares Jack for the dangerous escape. The book's darkness was offset by an undercurrent of love - messy, flawed, burdened, never-ending love - that runs throughout. Says Donoghue: "One of the ideas behind Room is that children have this natural tendency to thrive. So long as they're getting love and affection, even if it's in dark or incomprehensible circumstances, they're so adaptable, they'll find a way to be OK and to grow up." The role of the woman who is known to Jack simply as Ma, runs the gamut of maternal triumphs and maternal agonies, from fear and regret to awe and unwavering love. 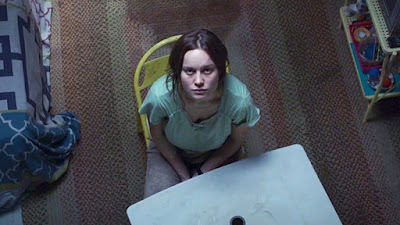 All of that came through in a gritty, unsentimentalized way in Brie Larson who won this year’s Best Actress Award at the Golden Globes. Larson approached Ma with extreme commitment, leaving no stone unturned - from altering her physique to conducting intense psychological research on confinement - in her quest to do justice to who Ma is, what she has gone through in Room and how she focuses every last bit of herself on Jack's future. She knew part of her task was to embody Ma's stark contradictions. On the one hand, she approached Ma as still very much a child herself, a girl stolen away from her promising life on the cusp of adulthood and forced to grow a stony emotional armor around her to survive. "I don't think Ma ever expected to get out of Room," Larson states. "She knew that hope can be a trickster. But I think she always believed Jack would get out. When she made an escape plan for Jack, it was a selfless act. She had to believe Jack would make it, but I don't think she ever considered that she might make it out, too, and have another chance at life and being a mother." Director Lenny Abrahamson was floored by Larson's devotion to immersing herself in Ma's POV. "I'd worried so much about finding Jack, but if we hadn't found Brie, this film could never be what it is," he says. "She's so deft in her abilities, and so willing to go all the way, I don't think anyone else could have brought Ma to life with so much emotional truthfulness." Larson explains that her connection to the character and the entire story has a personal link. Growing up poor herself for a time, with a mother recovering from a divorce, Larson had once lived in her own tiny, dilapidated but slightly enchanted enclave, a bit like Jack. "When we first moved to Los Angeles, my mom, me and my sister lived in a one-room studio apartment that was maybe twice the size of Room. We had very little money, we couldn't even afford a Happy Meal at McDonald's and we each had like three pieces of clothing and a couple of toys," Larson describes. "Yet, there was something really simple and a little magical about that time. We still talk about it as one of the best times in our lives. For my mom, I know there was a tremendous amount of pain as she tried to figure out who she was and how to support two kids on her own. But I also remember it as a time when I really learned the power of the imagination. We didn't have much, but my mom could create games out of anything, even little sugar packets. " “Room” opens February 17 in cinemas from Pioneer Films.